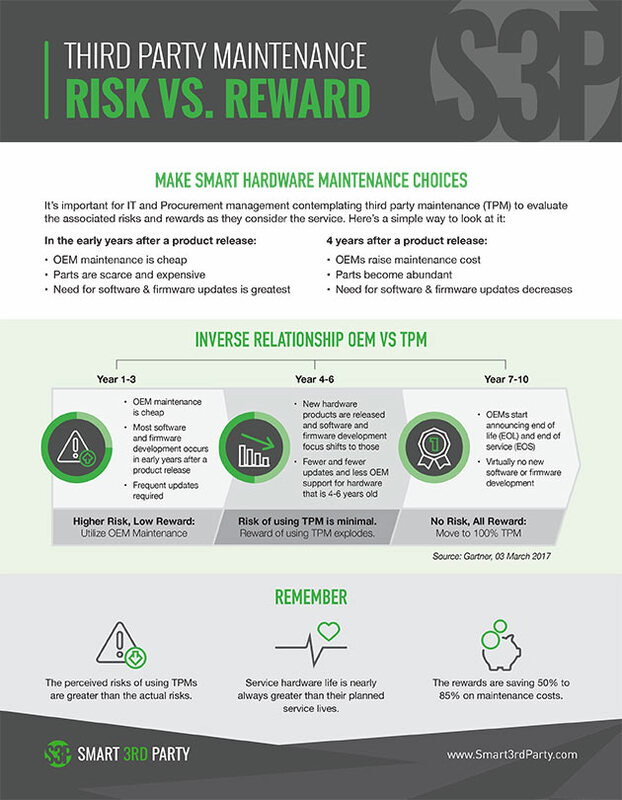 When it comes to third party maintenance (TPM), the OEM sales representatives typically suggest that if you move to TPM your IT world will end. We all know this is not true. Part of the process is education and knowledge of the true risk vs. reward. Ultimately, what is best for any organization is finding that sweet spot that maximizes cost reduction and minimizes risk. Download this infographic and find it.